Many people like to grow their own food. This is easily done if the home has some sort of back yard, or garden. But what about residents of flats and apartments? Well the answer may have been found by Kelly at Be Urban Farm. Kelly has always had the love of growing his own food. So, Kelly decided to use his 20 years of industrial design experience, to find a way of growing food indoors. After 6 years of research and design, Kelly has developed BUF, or the Be Urban Farm, which uses LEDs to provide the light that plants need for photosynthesis. The development of this system was greatly helped by Kelly buying a 3D printer. This made it easy to explore his ideas in a practical sense. After much experimentation it was found the best way to grow the plants was a custom media-less tray system that suspends the seeds in channels on the surface of the water. As the tap root develops down, the seed shoots up hitting a cover that is inserted on top of the tray. After 4-7 days of germination, the cover is removed. The LEDs are then powered up, and depending on desired size of the produce, 1 to 3 weeks later the crop is ready for harvest. 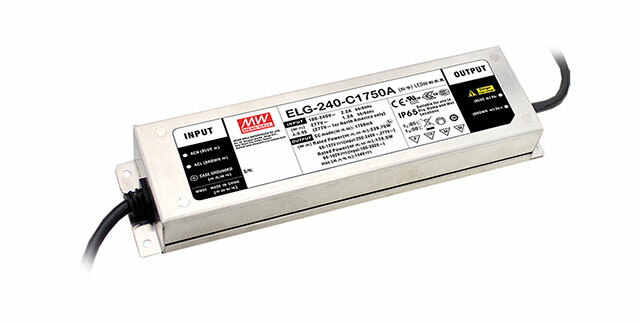 Kelly has found that the MEAN WELL ELG-240 series LED drivers are ideal for this application. They are mounted outside of the growing room, so as not too generate any additional heat. This is important as Kelly is located in Queensland, where it can sometimes get very hot. Another great feature of the MEAN WELL LED drivers is the 3-IN-1 dimming function. This allows a reduction in the power and light output after germination, and a gradual increase in the power as the plant develops, greatly reducing the power consumption of the system and keeping operating costs low. Kelly’s BUF system has one great advantage over other systems is its simple design and only using technology, where it is required. Other systems are usually fully automated and very impressive, but they require a massive cost outlay. The ongoing maintenance and specialty system support also many people cannot realise a return on investment. BUF retains the human element of growing food and Kelly hopes that it will give the younger generation a viable pathway into farming. To learn more about Kelly's BUF system please visit his Facebook page.